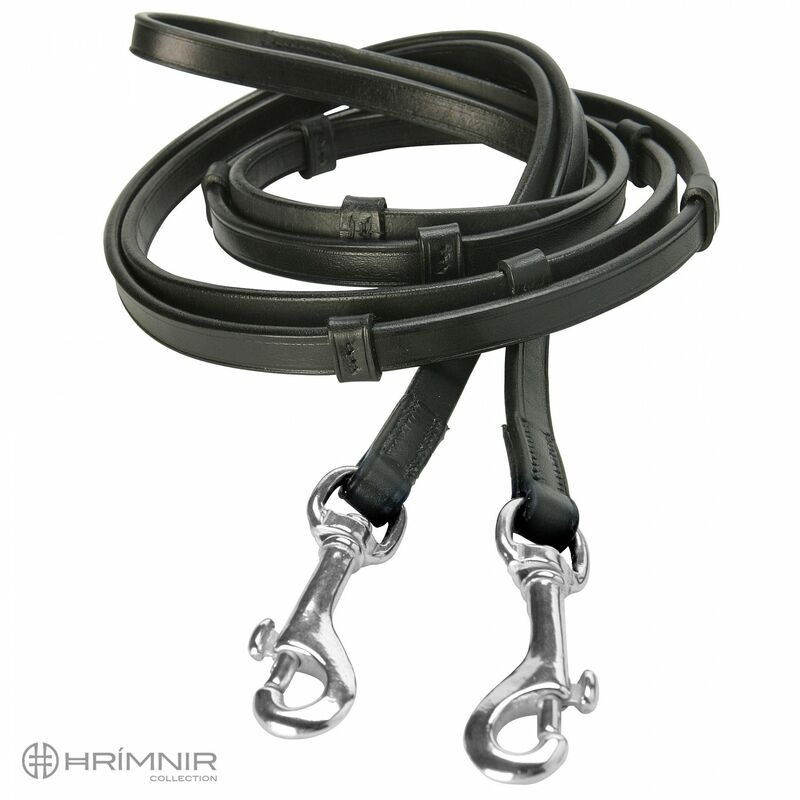 These classic reins are made of high quality leather. They are comfortable for the rider to hold and offer good grip. The stoppers help the rider to hold both reins at the same length. They also prevent the rein from slipping through the hand and offer a secure grip when the reins get wet. The slide-bolt snap spring attachments are made of silver-coloured chrome.